Kizlyar Supreme Savage in D2 is a stylish, sleek design that perfectly blends with its outstanding functionality. 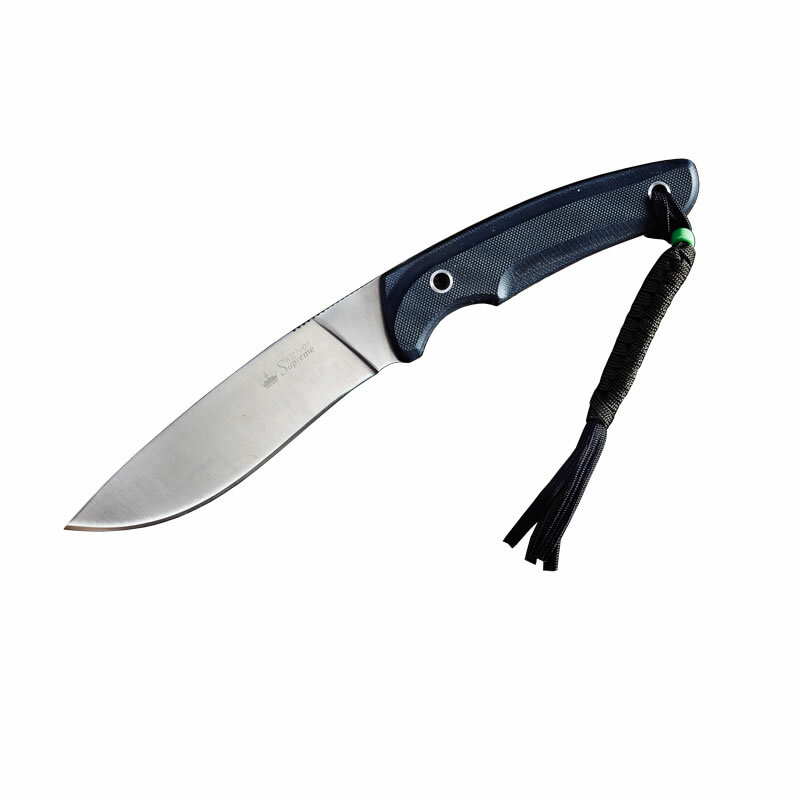 The knife is designed for a wide range of outdoor tasks, it is quite universal. 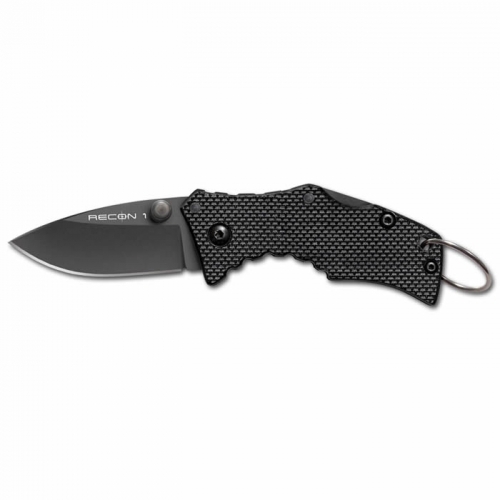 Balance of the knife is located at the front finger groove allowing for precise blade control. The 3D textured G10 handle feels great in hand, giving just the right amount of grip and rounded off in all the right places for no hot spot chopping duty. Two lanyard pins complete an exceptionally ergonomic handle. The Savage has a shape slightly resembling traditional Kukri knives that perform nicely when doing pulling cuts, where the blade aggressively bites into the material. 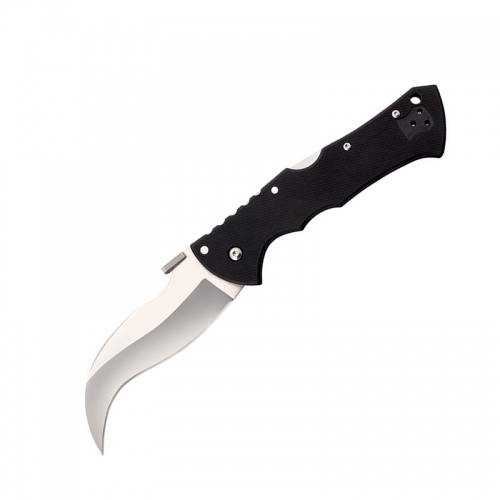 The relatively wide blade and full flat ground sharpening mean this knife cuts cleanly and precisely. The include Kydex sheath has a reversible belt clip for high or low carry. The sheath includes a drain hole at the base to minimize any moisture in the field. Made by Kizlyar Supreme. 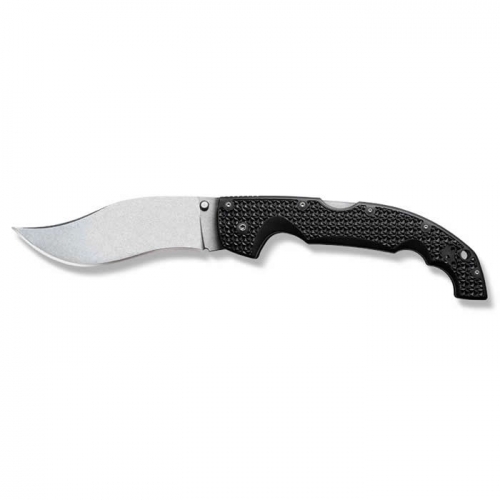 Key Features: 3D Textured G10 Handle D2 Steel with Satin Finis Kydex Sheath with Rotatable/Removable Clip Specifications Overall: 10.25″ Blade Length: 5.25″ Handle Length: 5″ Weight: 8oz Width at Guard: 1.25″ Thickness at Guard: 5/32″ Blade Steel: D2 Hrc Edge: 58-60 HRC Handle Material: G10 Specs will vary slightly from piece to piece.